Asian American Writers' Workshop - Dennis Hopper Estate Sale: “Chinese” Warrior. Hey man, he’s Japanese, man. 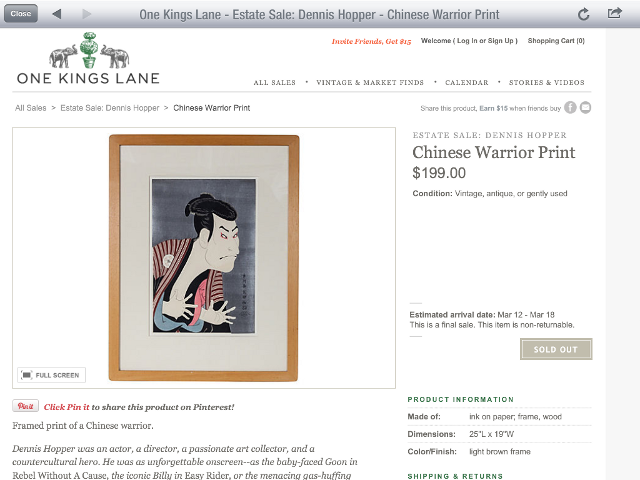 Dennis Hopper Estate Sale: “Chinese” Warrior. Hey man, he’s Japanese, man.